Building blocks for all the urban babies out there! 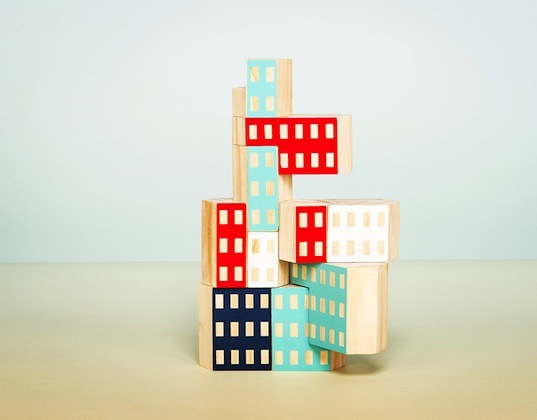 Blockitecture hand-painted blocks look like the facades that many of our kiddos see every day, so they are sure to love this set (now available for preorder with an approximate shipping date of March 15th) from funky, Brooklyn-based toy, home goods, and accessories company Areaware. Cool fact: Blockitecture designer James Paulius created these award-winning blocks when he was a student at Rochester Institute of Technology and was specially chosen to have his idea for a universal toy put into production. Whether your kids are using the blocks to build sky high or trying out all sorts of modern-looking configurations, the Blockitecture is a tasteful, visual way to introduce young minds to physical laws. Building blocks for all the urban babies out there!�Blockitecture hand-painted blocks look like the facades that many of our kiddos see every day, so they are sure to love this set (now available for preorder with an approximate shipping date of March 15th) from funky, Brooklyn-based toy, home goods, and accessories company Areaware. 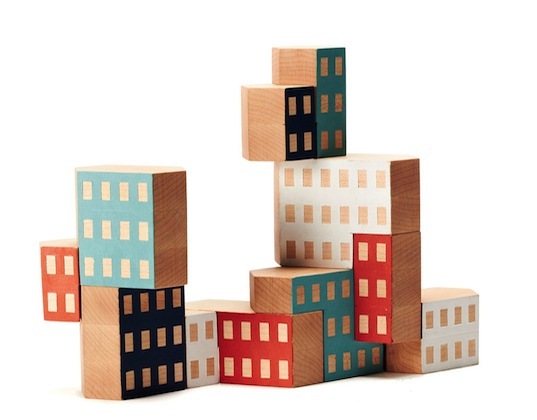 Cool fact: Blockitecture designer James Paulius created these award-winning blocks�when he was a student at Rochester Institute of Technology and was specially chosen to have his idea for a universal toy put into production. Whether your kids are using the blocks to build sky high or trying out all sorts of modern-looking configurations, the Blockitecture is a tasteful, visual way to introduce young minds to physical laws.